I bought an iPad mini 2 a couple of months ago, and shot a lot of photos with that it. But yesterday I dropped the iPad on the floor and broke its screen. Now the screen is totally destroyed. I wonder if I can get all my photos back from the iPad mini before I send it to the Apple Store. Any suggestions will be appreciated, thanks! The screen of iOS device is made of glass, so it is very easy to be broken. When the screen gets destroyed, you may not be able to unlock or use your iOS device, let alone manage the contents inside your iOS device. Like the users mentioned above, the screen of his iPad mini 2 is totally broken, if he wants to get the photos in his iPad mini back, he will need to take advantage of iTunes. If he has an iPad backup in his iTunes, he will be able to restore the contents in his iPad mini 2 to the new iPad mini or another iOS device. 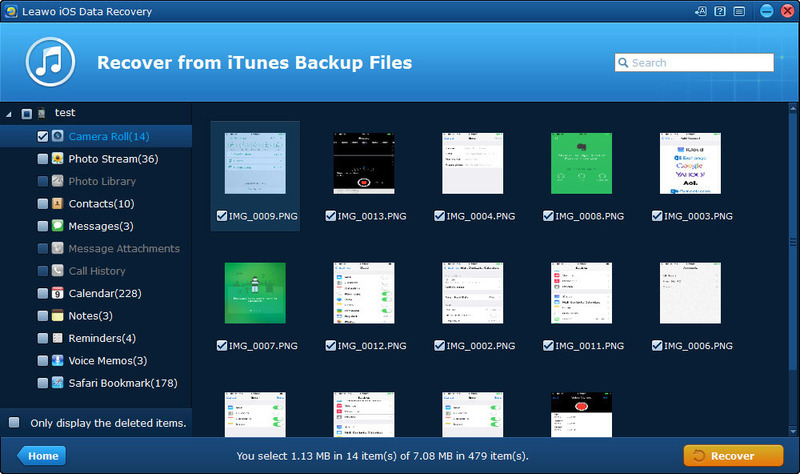 If you haven’t created an iPad backup in iTunes yet, you will not be able to get the photos with iTunes. 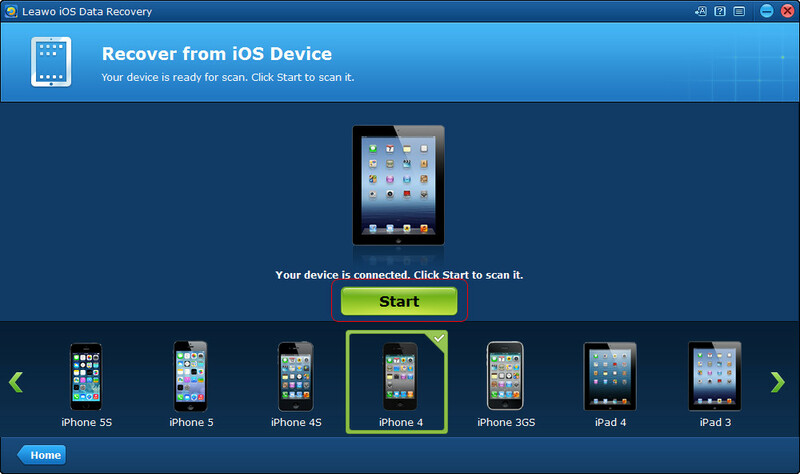 At this moment, you will need a piece of third party iPad data recovery software – Leawo iOS Data Recovery to help. This software will help you to retrieve all the photos from your iPad to computer. 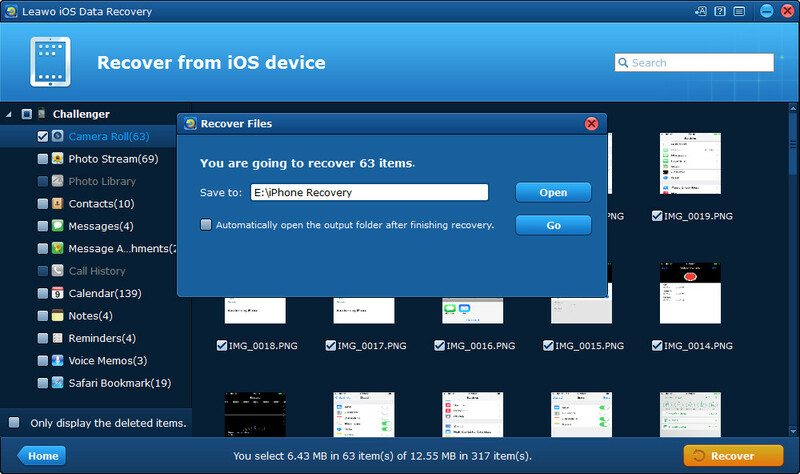 Leawo iOS Data Recovery is used for recovering lost files from iOS devices and iTunes backups, and it can extract the files from iOS device even if the device is broken or damaged. Leawo iOS Data Recovery helps users recover 6 kinds of deleted files, and extract up to 12 kinds of existing files from iOS devices directly. The following guidance will introduce 3 methods to show you how to retrieve photos from iPad, and you can free download Leawo iOS Data Recovery to have a try. Connect iPad to computer with USB. After the program recognized iPad, you need to click the Start button. Check Photos after the program scanned your iPad, and select the photos you need. Then click Recover at the right bottom. Hit Open in the pop-up dialog and choose a target folder on your computer. Then click Go to start retrieving photos from iPad. 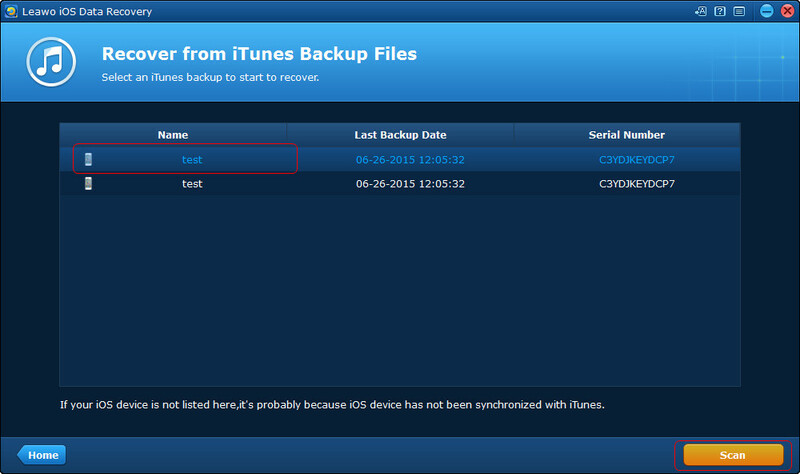 Select the iPad backup and click Scan at the right bottom. After the scan, check Photos and select the photos you need. Then click Recover. Hit open in to choose a target folder in the pop-up dialog. 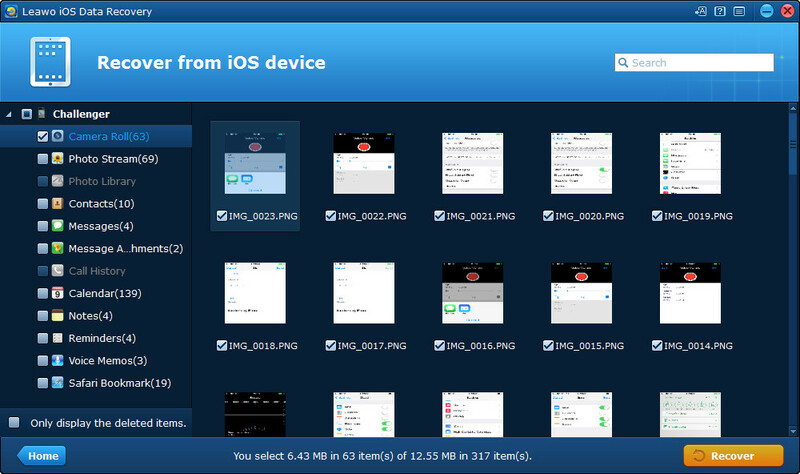 Then click Go to start retrieving photos from iPad. 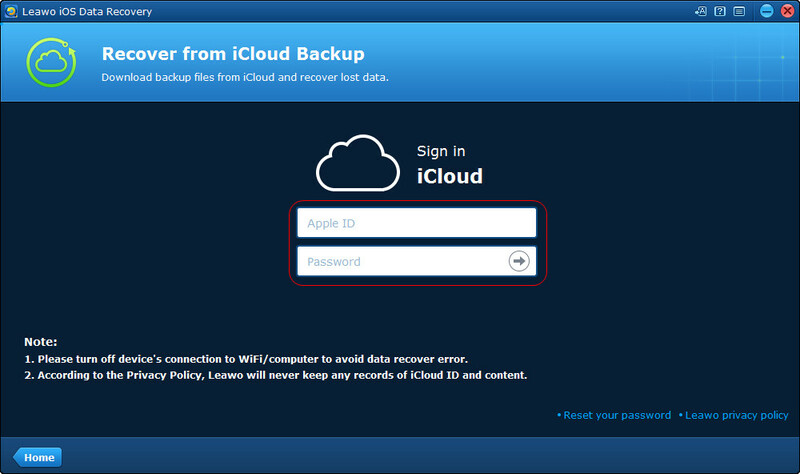 Run Leawo iOS Data Recovery and select Recover from iCloud Backup. Log in your Apple ID and hit the enter key. All the backups you created with this ID will be displayed. 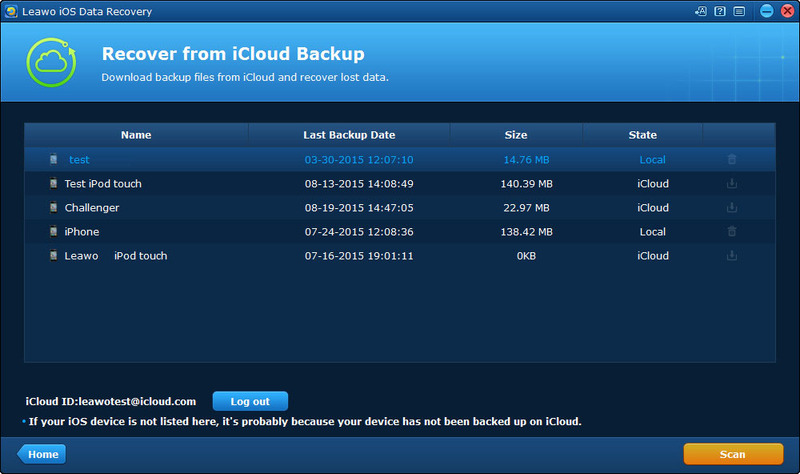 Select the iPad backup and click Download. Check Photos after the program downloaded the backup, and select the photos you need. Then click Recover at the right bottom. 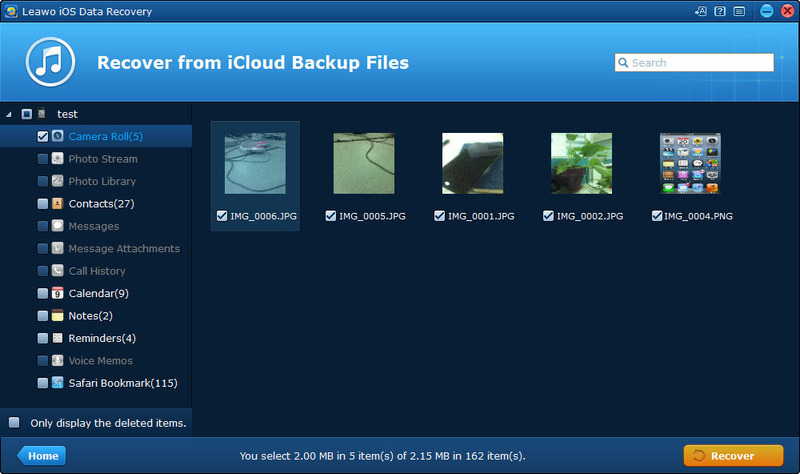 Click Open in the pop-up dialog, and choose a target folder on your computer, Then click Go to start retrieving photos from iCloud backup. When the process is done, you will get the exported photos in the target folder. 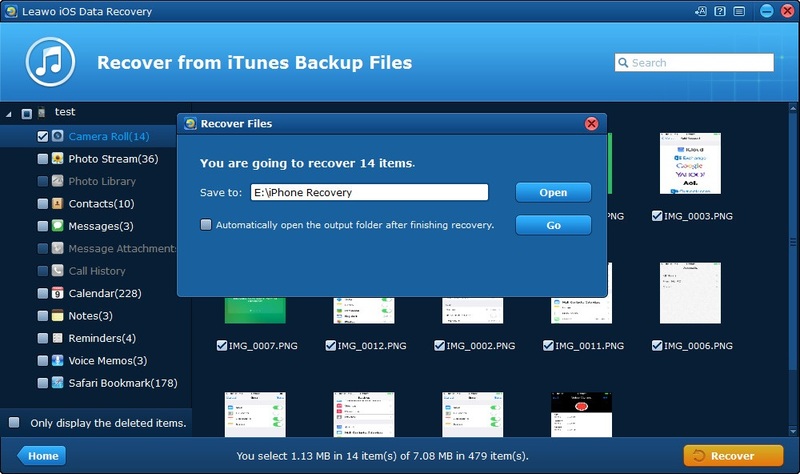 Leawo iOS Data Recovery to extract files from iPhone, iPad and iPod touch, and it also backup iPhone, iPad and iPod photos to computer. 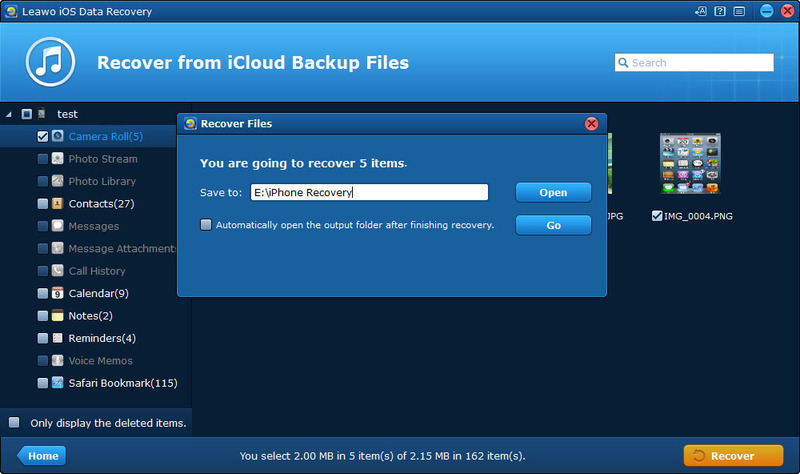 For example, you can backup iPhone photos to computer with the help of Leawo iOS Data Recovery.